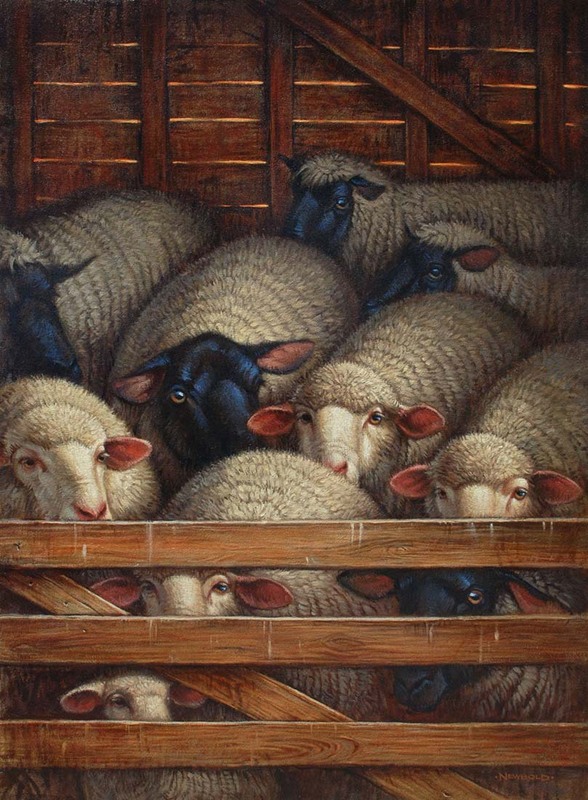 Greg Newbold is an accomplished illustrator and painter. Newbold will be exhibiting new work at the Evergreen Framing Co. & Gallery this month. The Afternoon of Art show will include his work along with fellow gallery artists Aaron Fritz, Claire Tollstrup and Jodi Steen. 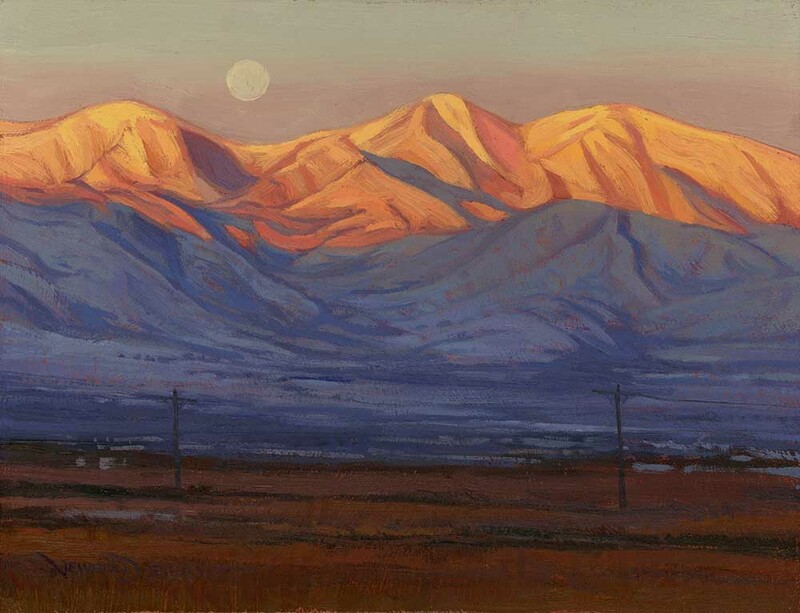 The opening reception will be held Saturday afternoon September 19th from 3:00 to 5:00 p.m. Newbold lives in Utah. 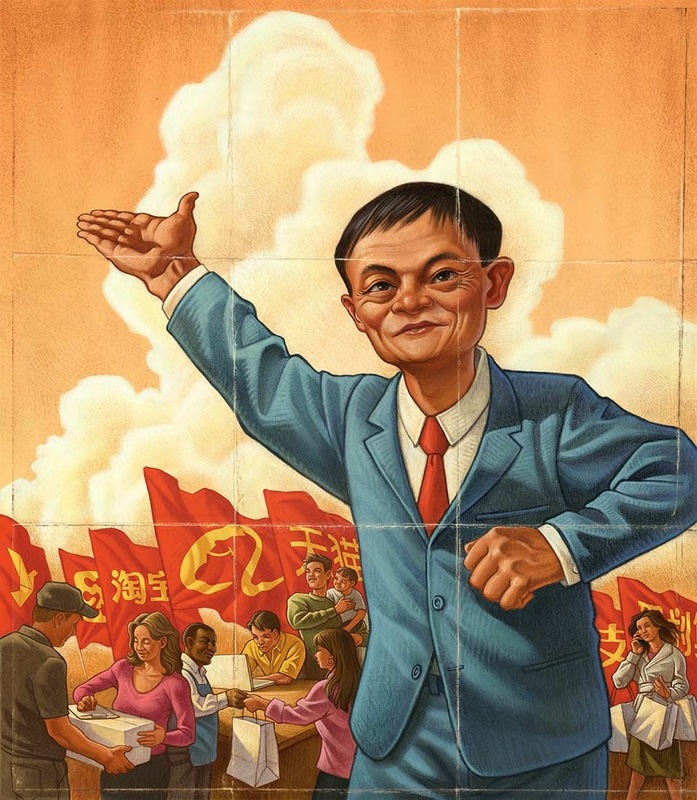 He was profiled previously at The Krakens for his illustration of Alibaba’s Jack Ma. Tell us about this new series of paintings. 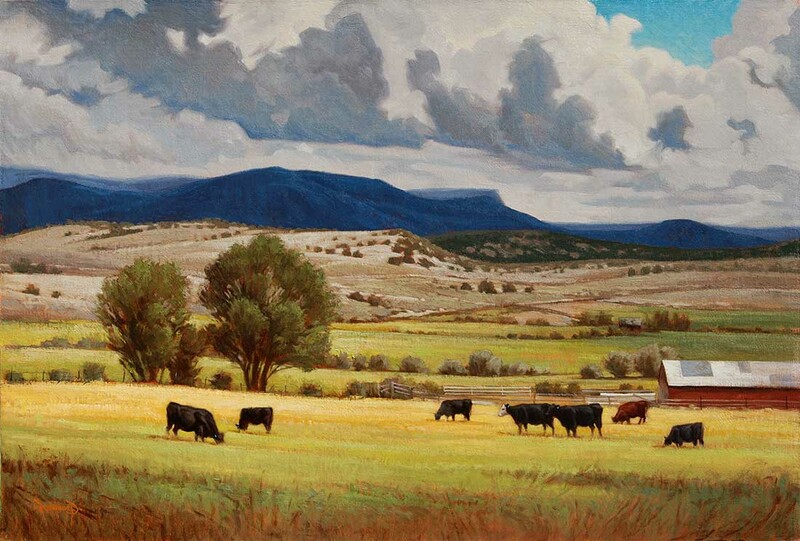 I think my choice of subjects when it comes to landscape painting stems from my childhood. I was always enamored by grand vistas and the play of light. I remember staring at sunsets and soaking in the colors, amazed at their fleeting beauty and how quickly they were gone. We kept animals on the family homestead when I was young. My widowed great aunt lived on about a dozen acres in the home where she and my grandma grew up. She always had chickens and sheep as well as an occasional beef cow. I spent several years feeding and caring for the animals after school to help her out. Each spring would bring new lambs and the ritual of sheep shearing. My dad grew a huge garden which entailed many sweaty afternoons of weeding and harvesting. We also bucked many truckloads of hay. I think those experiences were ingrained in my memory and I gravitate toward farm and livestock subjects now as a result. 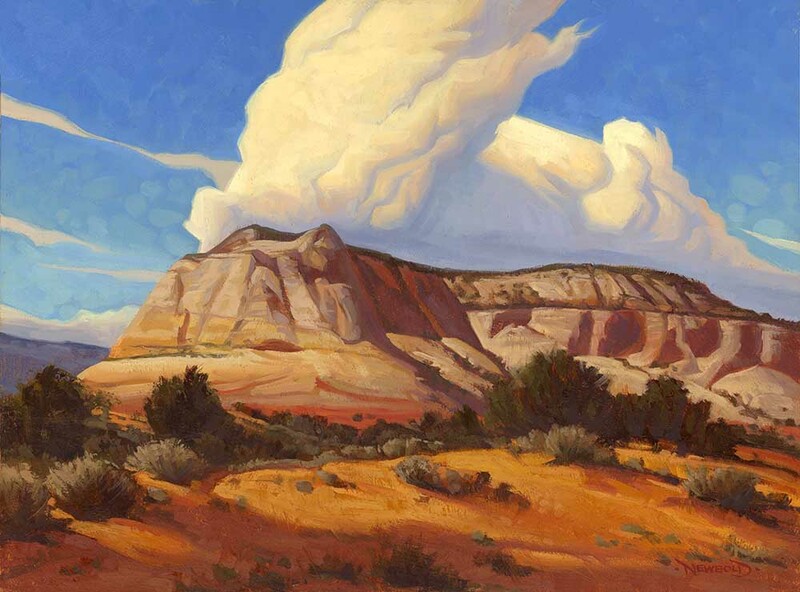 I also love the landscape of this great state and have always been drawn to the red rock vistas of Southern Utah. 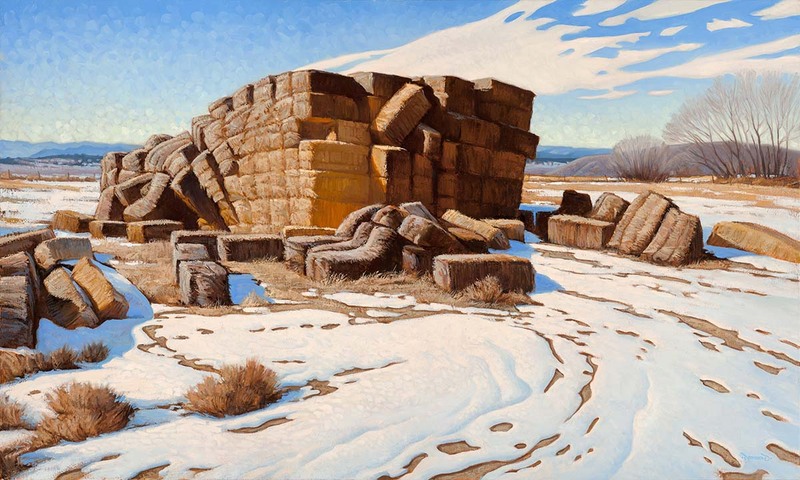 The range of terrain in this state is astounding and every one of the paintings in this show is someplace I have been to and photographed or have painted on location. What do you enjoy about painting landscapes? Landscape painting on the surface seems pretty straight forward. See something you like, and paint it. Easy, right? That notion can’t be further from the truth. I have found location painting (or painting en plein air) the most challenging and rewarding of artistic pursuits. When you are on location, you are at the mercy of time, weather and the elements. The entirety of the landscape is in your view and most of the time, I find that simply editing the scope of what I see down to a manageable chunk to be the most important step. I have to choose which sliver of awesome to try to capture on my panel. Then, if lighting conditions allow, I may have an hour to two hours to distill what I see and translate it to a few well placed strokes of paint before the shadow patterns are completely changed. The color that I see in nature, as opposed to what a camera sees, was the biggest revelation I have had from painting outdoors. I may not capture things exactly as I want them in the field, but the color notes are critical to conveying an authenticity to the viewer. Sometimes I tickle these studies in studio to finish them the way I wanted to in the field, sometimes they serve as the basis for larger paintings. Regardless, the experience of actually being there and seeing with my own eyes lets me take the information I gain from my photos and inject reality into my paintings. Learning to paint is a constant quest because there is always more to learn, but I love the challenge of trying to improve. Maybe someday I’ll reach a point where I can actually put down in paint my exact intention. For now, I am happy with close. What are you working on next? I have a lot of irons in the fire. My gallery career is a pursuit that I am intent on growing, but at the same time, my commercial illustration work is what pays most of the bills and I always have projects going on there. I have a couple of big things in the works that hopefully I will be able to talk about in the coming months, but for now, it’s confidential. This year has also seen some new national clients like Barnes & Noble that has been a lot of fun. I get a kick out of knowing my work is in every single B&N store nationwide. 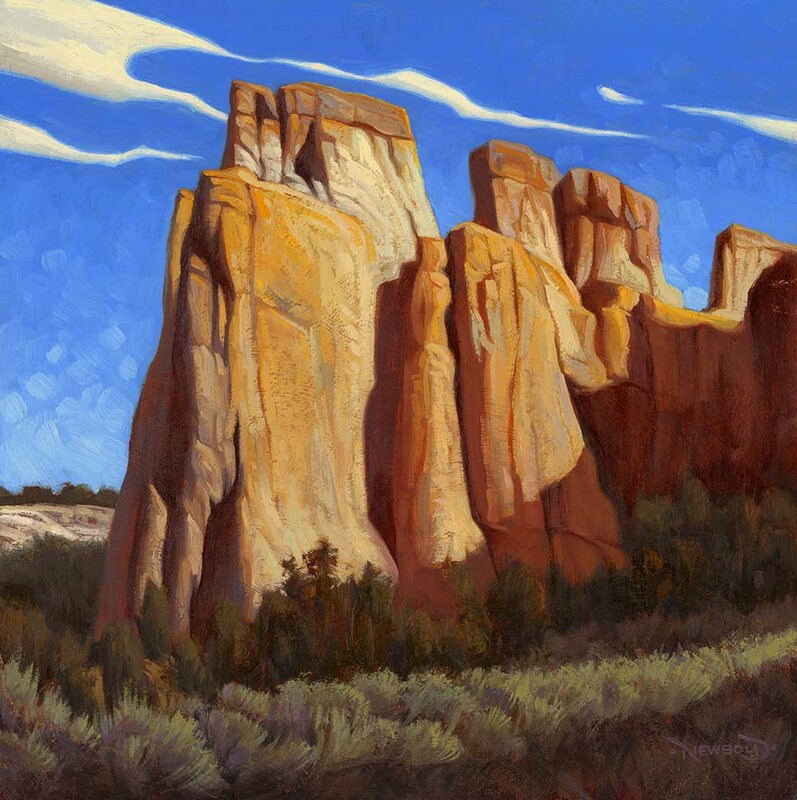 On the gallery front, I will continue to supply as much new work as I can to my galleries David Ericson Fine Art and Evergreen Gallery in Salt Lake City, UT. I have also committed to doing the Art & Soup fundraiser in March of 2016, so that should be fun. I’ll be painting quite a bit between now and then, I am sure. 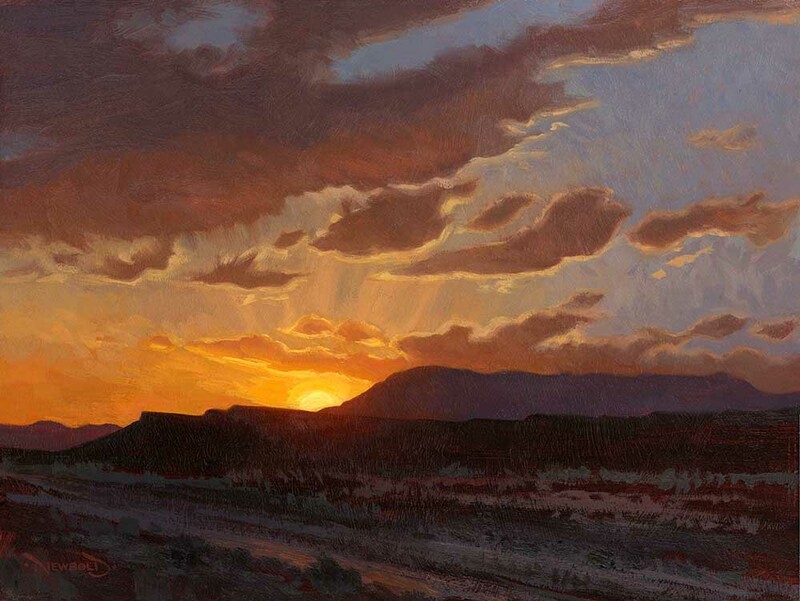 In between, I’d like to get away on a couple of painting excursions to southern Utah. There’s nothing like being out in the wild to recharge the artistic batteries! Visit Greg Newbold’s blog, Life Needs Art. 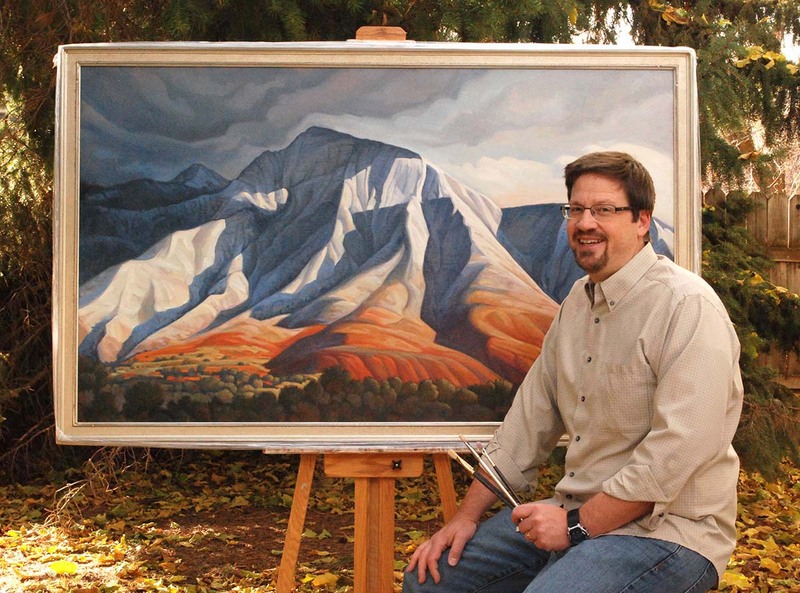 Greg Newbold lives and works in Salt Lake City, Utah and is one of the most accomplished and prolific illustrators in the Church. 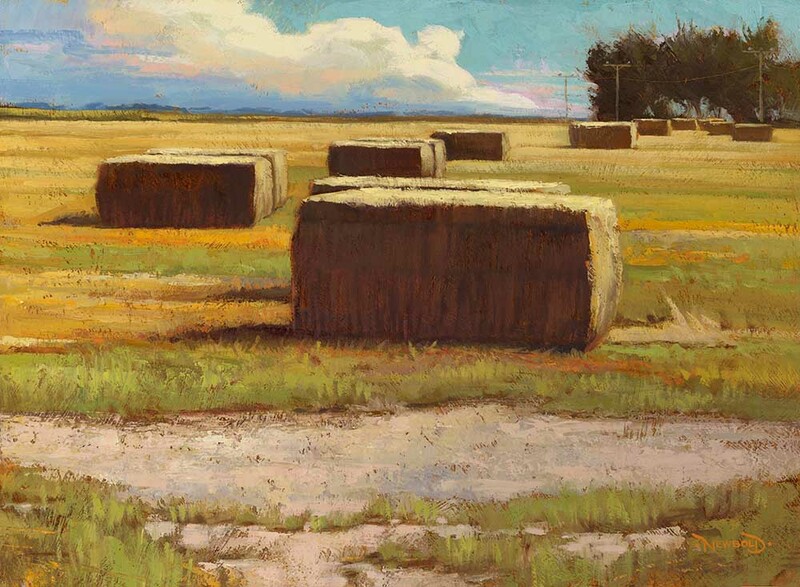 You can find his work in magazines, newspapers, children’s books, and in private art collections. He has received awards from The Society of Illustrators, Communication Arts, and many others. Newbold agreed to let us publish this post from his excellent blog describing an engagement he did with The New York Times to illustrate Jack Ma, founder of Alibaba. Newbold: I got a call from Minh Uong, art director for The New York Times. I had worked with him a long time ago when he was with the Village Voice, but somehow we had not had another opportunity to work together for the past several years. As we caught up on things he offered me a project that I could not pass up. I mean, can you really pass on a front page business section feature illustration in The New York Times? I certainly couldn’t. The article was to be an in depth look at Chinese internet tycoon Jack Ma, founder of Alibaba Group. 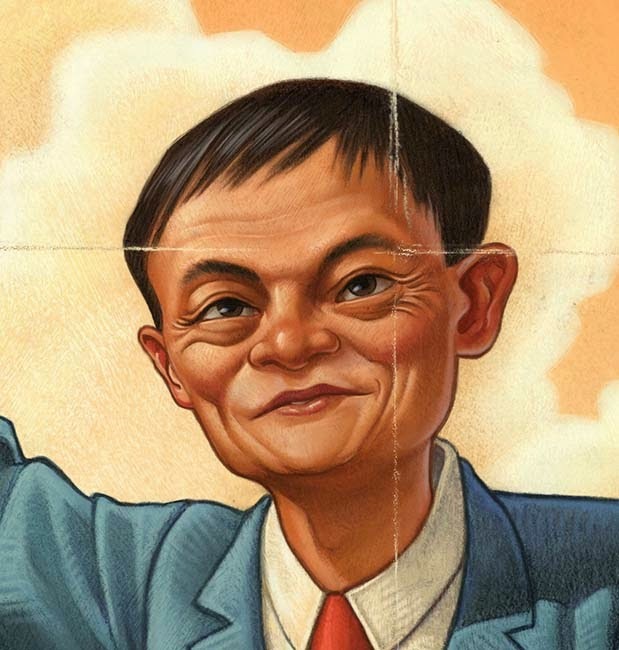 I have to admit, I knew absolutely nothing about Jack Ma before taking on this project, but a little time on the internet solved that problem. Ma’s network of online businesses include China’s version of Ebay, Amazon, and PayPal among other offerings. Since Alibaba’s founding in 1999, Ma has become a billionaire and one of China’s most powerful businessmen. He turned out to be a very interesting character with a unique face and personality that I was determined to capture. I watched several interviews with him as well as looked at countless photos to analyze his features. 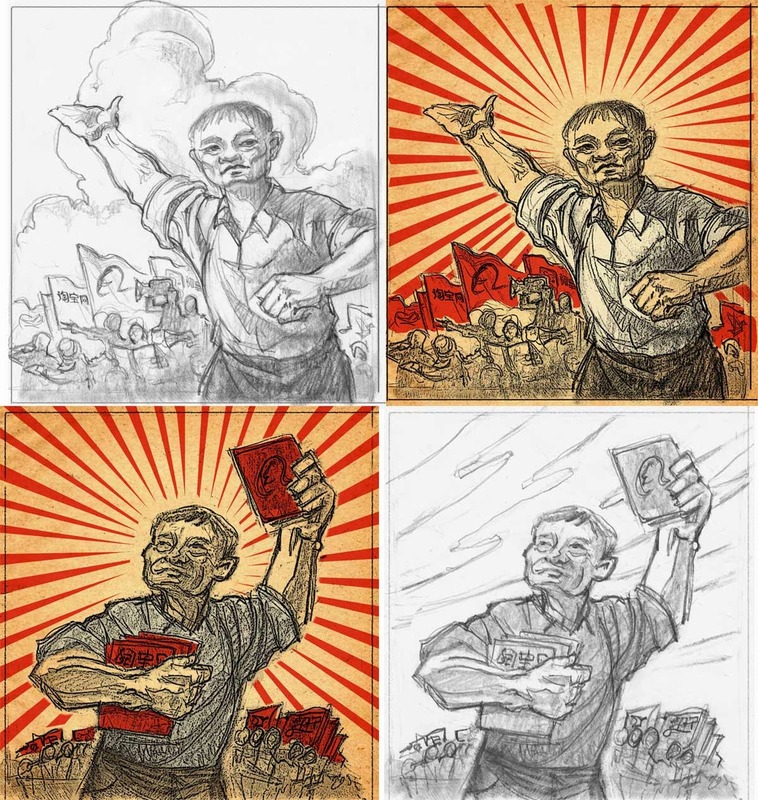 Newbold: The concept that Minh and I discussed for the art was to show Ma as the leader of this new global marketplace but with a lighthearted nod to the Mao era Chinese propaganda posters. 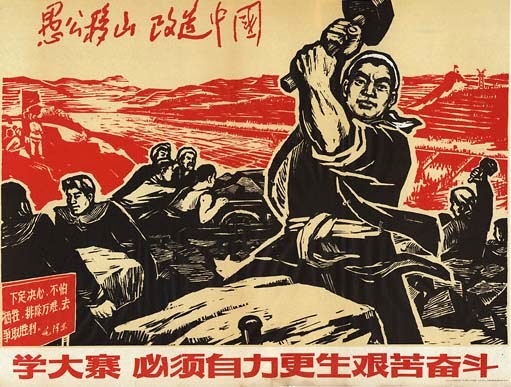 I loved the imagery in some of those old posters depicting the heroic worker. 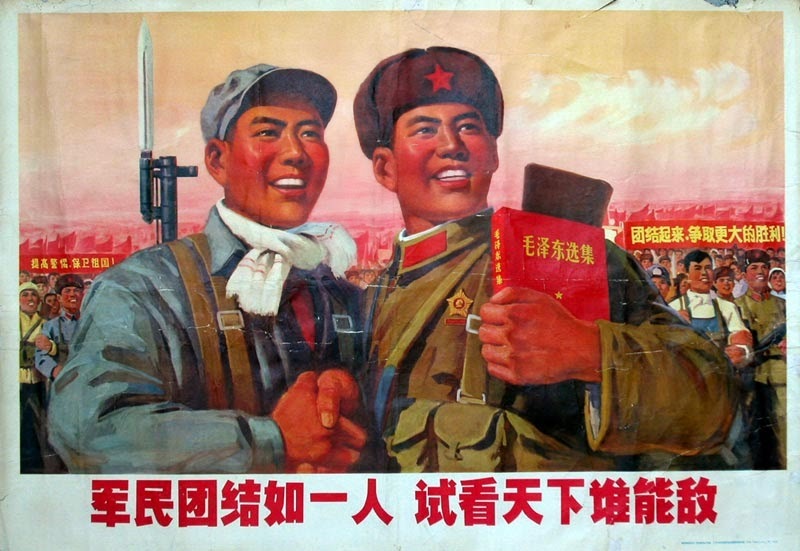 I decided to use the color and feel of those old posters but avoid having things feel overbearing and communist. 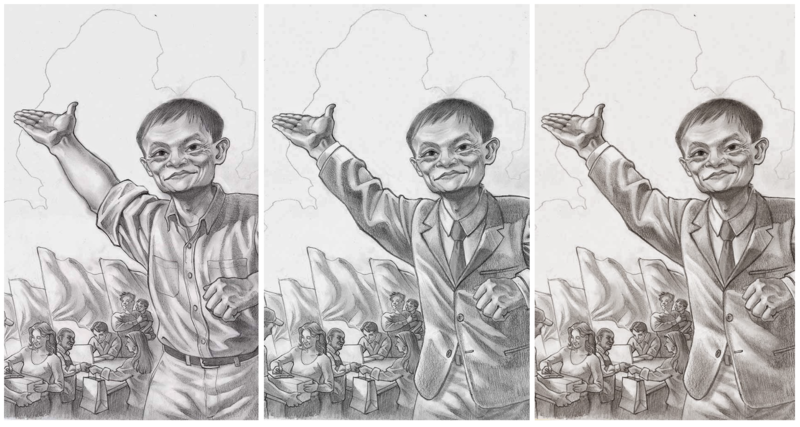 Since I had a relatively square format to work within and I knew I wanted Jack Ma to be front and center, I designed two options to present and then gave those two options a different treatment visually. Newbold: One version would be painted in my usual full color style and the other would be a more graphic version similar in feel to some of the old propaganda posters I had seen that were more like ink drawings with blocks of color. Minh told me that it was a tough choice between the two different aesthetic options but they ultimately wanted to go with the full color painted option. In a final touch, the flags in the background would bear the logos of the various Alibaba group companies as well. Newbold: One of the editors also felt that he needed to look less like a worker and more like a businessman, so I added the suit jacket and tie. I was also asked to smooth out the jacket a little by making it a more tailored and less rumpled. I smoothed out a few of the wrinkles in the sleeves and jumped in to the finish rendering. Newbold: I really wanted to give this one the aged feel of an old poster that had been folded and worn, so the last step was to add some distressing and folds that I created on a separate piece of paper and added over the top of the finished piece. That last bit of grunge and folded paper I think pushed it from good to really good. I am thrilled with how it turned out.